placed very close to the fret, but not directly on top of it. the positions of the left-hand fingers as they make the notes. just pick the string without touching it with a finger. 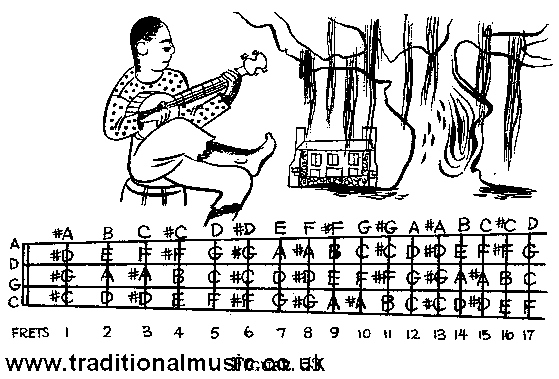 figure out the notes and play the scale shown. above it. Thus, A# on the first string is also Bb.